A few weeks back I mentioned to you the Italian Cookbook that I am crushing on these days... Cooking with Italian Grandmothers... from Tuscany to Sicily. I tried a few more recipes from it over the last few weeks and cooked this particular lentil soup twice in two subsequent weeks. Well I had to... for turnips are in season and this soup is so healthful and delicious. This recipe is again by Irene of Piedmontese, Bra and bears her characteristic earthy style. It is a slow food as opposed to fast food, and the original recipe featured one of the Slow Food Presidia products, namely the locally grown yellow fleshed Caprauna turnips. I however cooked it with the regular white turnips that are showing up in the vegetable aisles these days. Also instead of puy or beluga black lentils, that the author suggests, I cooked the soup using red lentils and used a combination of pecans and pistachios for garnish instead of walnuts. In a large pot set over medium heat, saute the garlic, dried herbs and hot pepper in olive oil, until the garlic begin to turn golden brown. Add lentils and saute them for few minutes until the water evaporates and the lentils are coated well with the oil and the herbs. When the lentils begin to crackle a bit, add the white wine and stir well. Add 5 ½ cups of water and bring to a simmer. Partially cover the pot with the lid, bring it to a boil, then reduce the heat to medium low and cook for 40 minutes. The lentils will be mushy by then. Add the turnips, salt and 1 cup water. Mix well and simmer for 25-30 minutes, until the lentils and turnips have softened and the soup has thickened. Adjust the salt and turn off the heat. 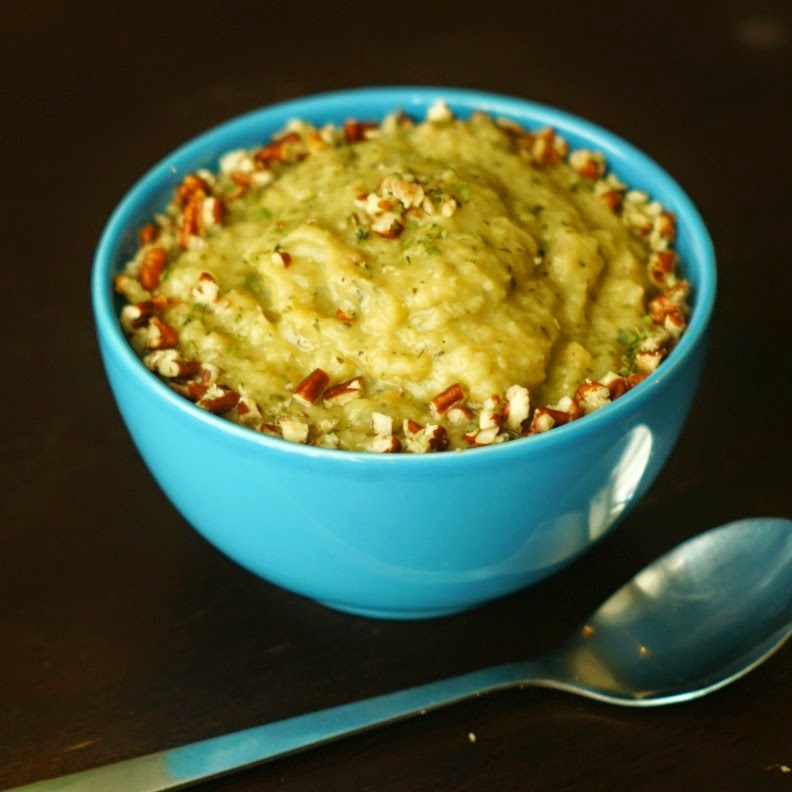 Pound the walnuts or pecans along with the pistachios and your choice of leaves(dried chive or coriander) . Serve the soup and garnish with the pounded mixture and a drizzle of olive oil. This looks very tasty! 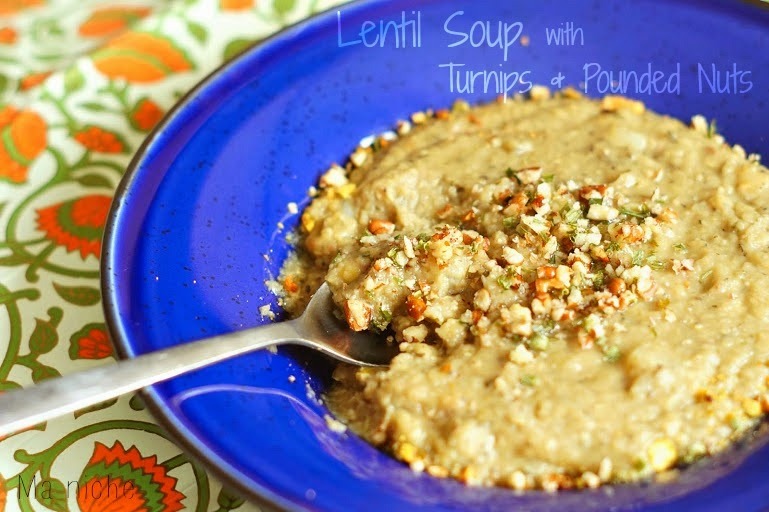 We often eat lentils, they are so versatile---I love this unique addition of turnips. I am pinning this, okay? Have a good week. found you at miz helens. Hi there! I'm hopping over from Let's Get Real today. I was very interested to see your recipe. My daughter who is 8 has decided that she does not like to eat meat on a regular basis so we are exploring bean recipes quite often now. 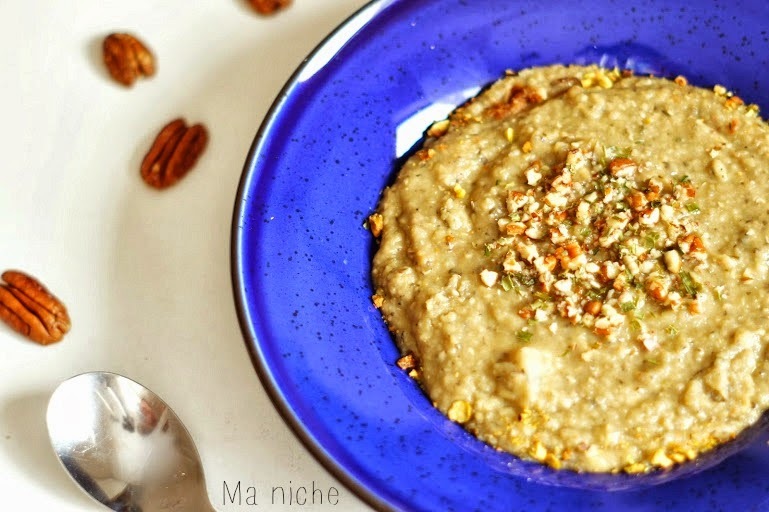 I bet your choice to use pecans makes this soup even more delicious than the walnuts.........maybe that's because I think everything tastes better with pecans. I have to get this cookbook... because my Italian grandmothers never wrote anything down. Thanks for sharing another great recipe from it on foodie friday. I will have to get this cookbook. I like lentil stews and soups. I have added ground sunflower seeds (tahini), but I like what you used. It's a great combo. Thanks for sharing it at the Let's Get Real Friday Link Party. @Diane Balch & Nicky Omohundro : I highly recommend this book. I really enjoyed cooking from it. 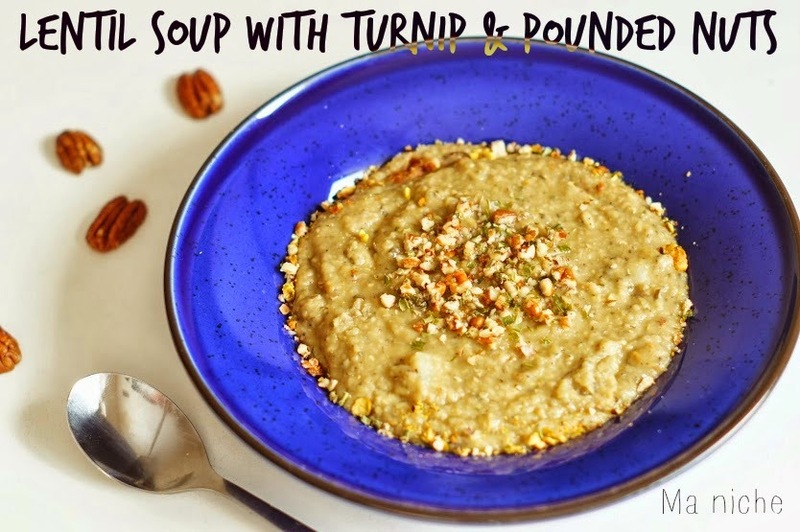 Your Lentil Soup with Turnips looks delicious, we just love turnips! Thank you so much for sharing with Full Plate Thursday and hope to see you again real soon!